I had been planning a visit to the Cavan museum for a number of years, well I finally got around to it. 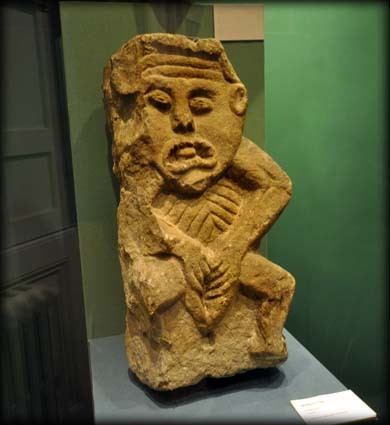 The main reasons for my trip to the museum in Ballyjamesduff was to view the original Killycluggin cult stone and a couple of Sheela-na-gigs. The Sheela pictured left, is one of the finest examples in the country. She not only displays all the typical features associated with sheelas, including the bands across the forehead, but also has a protruding tongue. She is 0.43 metres in height. The second sheela, see image below, was discovered in a 1842 on top of a gate pier leading into a graveyard. 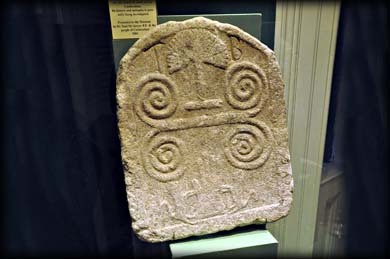 It is believed to be a quoin stone from the old 12th century church at Lavey, County Cavan. The church is dedicated to St Dymphna patroness of the insane. 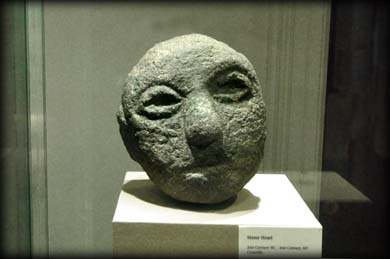 There are a number of stone heads at the museum but the only original one is the Coravilla stone head, pictured below left. A beautifully carved grave slab from Castlerahan is also on display. 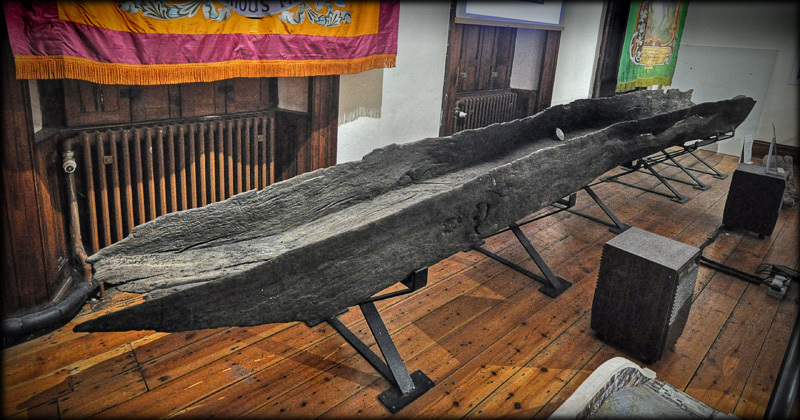 Another interesting antiquity in the same room as the Killycluggin stone is the 7.6 metre long Log boat shown in the top image. It was found on the shore of Lough Errill in 1895 and is estimated to be a thousand years old. Situated: From Dublin take the N3 for Cavan. At the end of the main Street in Virginia keep left at the fork taking the R 194 for Ballyjamesduff. The museum is situated on the right next to St Joseph's Church just as you enter the town. Discovery Map 35: N 5258 9100. Last visit Mar 2014.